The American Geriatrics Society has unveiled its latest update to one of geriatrics' most frequently cited reference tools: The AGS Beers Criteria for Potentially Inappropriate Medication Use in Older Adults. With more than 90% of older people using at least one prescription and more than 66% using three or more in any given month, the AGS Beers Criteria - a compendium of medications potentially to avoid or consider with caution because they often present an unfavourable balance of benefits and harms for older people - plays a vital role in helping health professionals, older adults, and caregivers work together to ensure medications are appropriate. Donna M. Fick, co-chair of the expert panel responsible for the 2019 AGS Beers Criteria, said: "Medications play an important role in health and wellbeing for many older people. With this new update, we hope the latest information on what makes medications appropriate for older people can play an equally important role in decisions about treatment options that meets the needs of older adults while also keeping them as safe as possible." 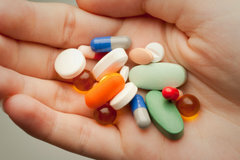 Published in the Journal of the American Geriatrics Society, the criteria also includes a host of resources from mobile apps to a pocket reference card to help clinicians implement prescribing recommendations, as well as tools to aid older adults and caregivers in understanding what "potentially inappropriate" medications mean. Several changes to medications previously identified as potentially inappropriate. Twenty-five medications or medication classes were dropped outright from the last update to the AGS Beers Criteria in 2015, while several others were moved to new categories or had guidance revised based on new evidence.